We take care of your system for its entire life cycle and adjust it to changed conditions if required. Extending, rebuilding, modernising, inspecting: our modular manufacturing concepts make it all possible! Experienced experts plan and co-ordinate all tasks. 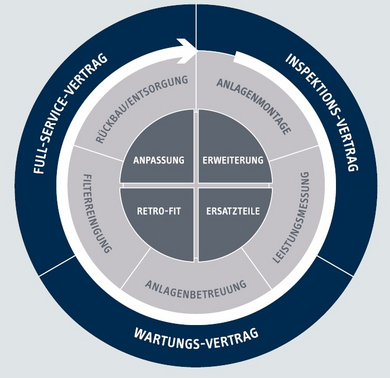 We adjust existing systems to changed manufacturing processes and supply tailor-made modernisation solutions to make a system more productive and to increase its energy efficiency.